I can make you a small business website using WordPress, the leading content management system. I can also show you how to add new pages to your site and keep it backed up and secure. Are you thinking of employing me, but unsure just what a WordPress assistant is or what I do? Have a look at this page and watch some of the short videos. It will give you a basic overview of what a WordPress assistant is and how I can help you to get your small business website online, it’s easier than you might think. Millions of small business websites run on WordPress software. Almost any small business site could be designed this way. UPS, Yahoo! And Ford use WordPress, it’s got all the power you need and it’s easy to use too. 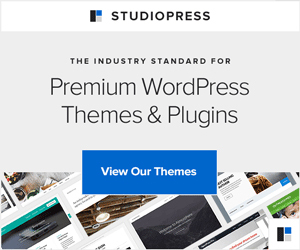 I can add the Genesis framework and any Studiopress theme to your website and at no extra cost. Will your site work on a mobile phone? Yes, if you use a responsive design. It’s best if you start from the beginning with this in mind. But you can convert an existing site to a mobile responsive site if you wish. Simple, Just click the Post > Add new, button. It’s like using Microsoft Word. This video will show you the basics. A quick demonstration of a plugin called WordPress SEO by Yoast (how to guide). I made this video to show you that basic search engine optimisation in WordPress is not rocket science. In a nutshell, if you need a large bespoke site building and you’ve got a big budget, go for a well established web design company with a good reputation. If you want a small website building on a reasonable budget use a self employed web designer or a WordPress assistant like me. It’s all about scale and budget. A large firm can afford to employ programmers, graphic designers, copywriters and search engine optimization specialists and their prices reflect that. A one man band should be competent in all these areas but won’t have the same skill level as a dedicated programmer or SEO specialist. Obviously it should cost less to employ one person than a team of people. Just looking at the size of the job and the size of your budget should help you decide. If you’d like to find out more contact me, we can have a no obligation chat about your needs and my services.